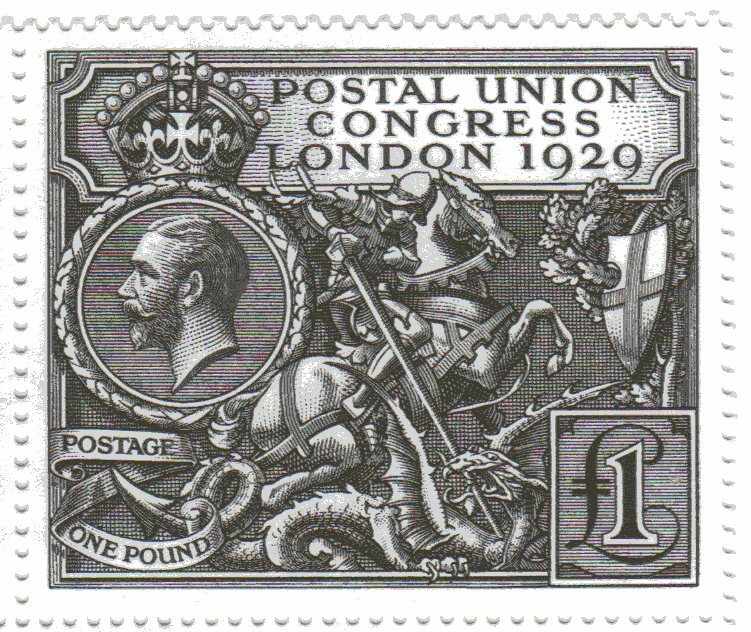 These are scans of the PUC £1 facsimiles. The printing on the reverse is over the whole block, so the GvR cypher is in the centre of the block. I'm impressed! - the positional grid to the left of row 2. 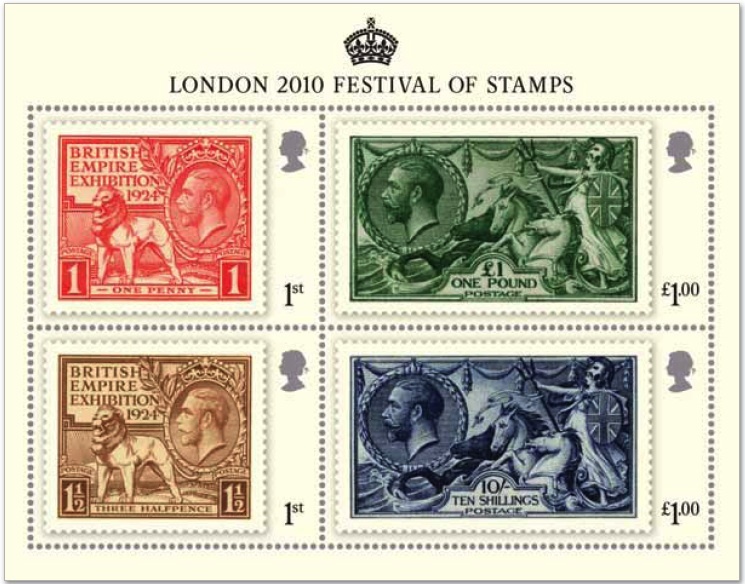 If I had been involved I would have made sure that Festival of Stamps was fully capitalised, but maybe I'm just old fashioned? How about you? 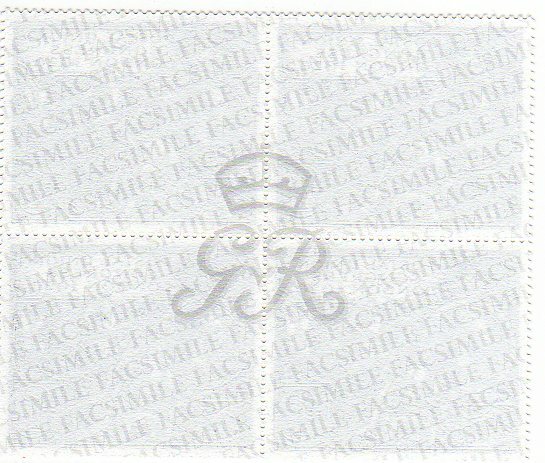 A contact in Finland has pointed out that Royal Mail's minimally informative mailshot 'first' fails to mention that this stamp is available as a single stamp and is not just in the miniature sheet. I checked, he's right - and it's also not included in the April 2010 Bureau Stock List although the other Festival products are. 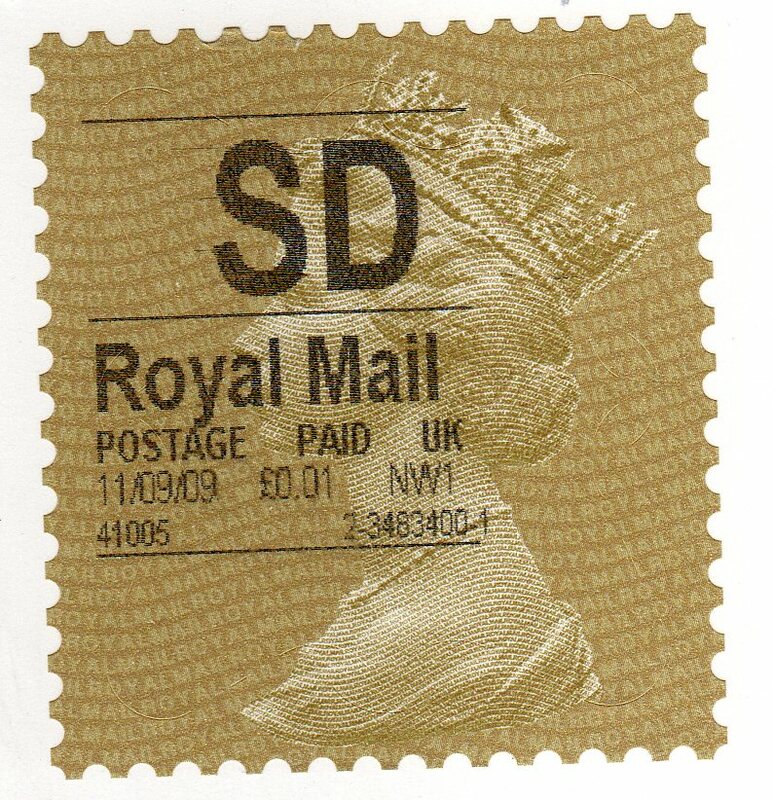 The stamp should be on sale at all UK post offices but for those who can't get to a PO, and for international customers, the Royal Mail stock code for the single stamp is DS414. Gutter pairs are also available. 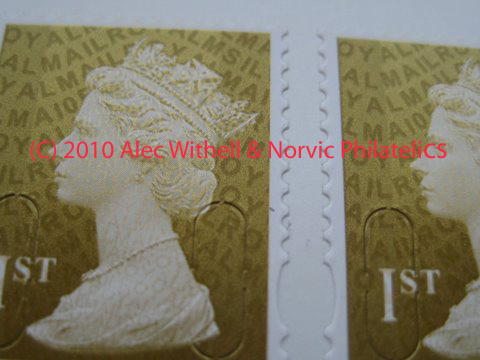 Yesterday morning I suggested that the new coil stamps with security features might have a new security code. Yesterday evening came news of a new discovery that makes this almost certain! 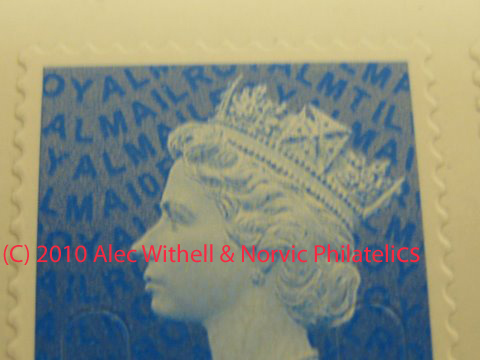 Dealer Alec Withell reported that the retail booklet of 6 x 1st with the London 2010 Festival of Stamps advert has an additional year code, the word MAIL to the left of the Queen's forehead reading MA10. This is in addition to the normal code for a book of 6, MSIL in the top right corner. 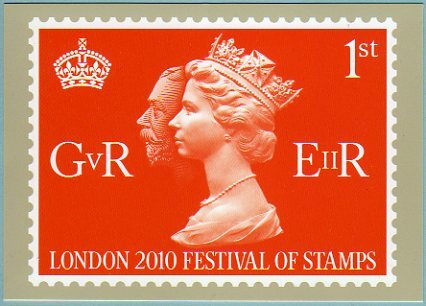 Apparently the other 2010 retail booklet, with the postcode URL changed from 'P' to 'p' also has this year code, even though it must have been printed in 2009 (for a 25 January 2010 distribution). 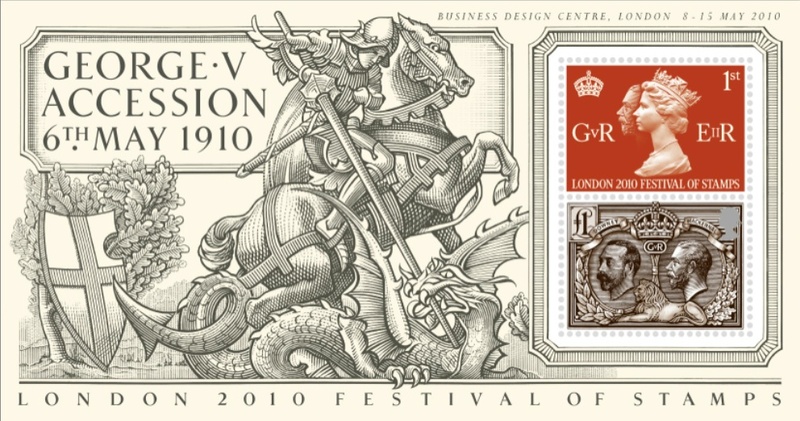 So the code indicates the year in which Royal Mail intend that the booklets will go into distribution? Maybe! But that is only the start. 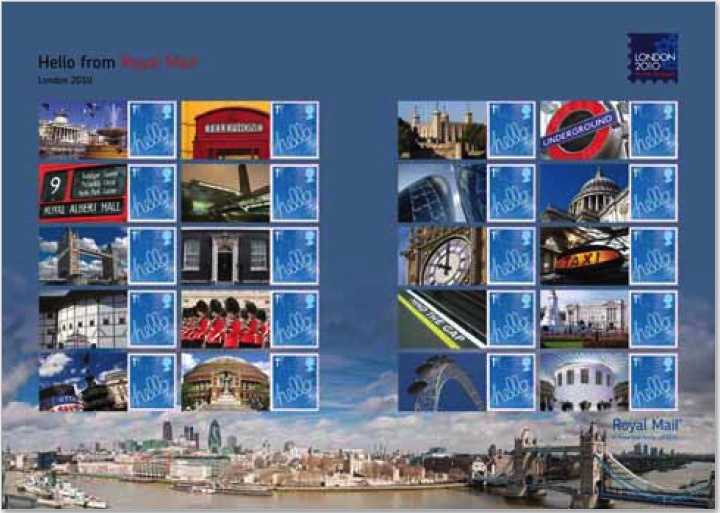 Looking back at the other 2010 booklets, it turns out that the Olympic/Paralympic booklet 2 also has the MA10 code, but this time with MCIL at the top right. A new printing of the 12 x 2nd booklet also incorporates the MA10 code, with MTIL at top right, as normal for a book of 12. 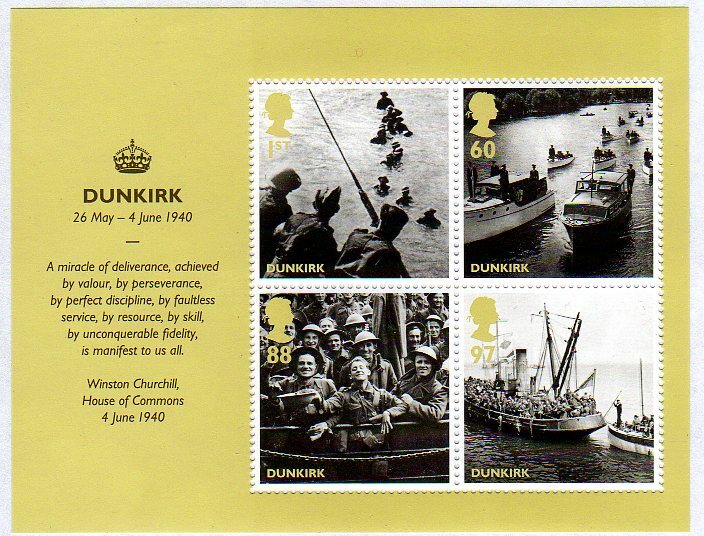 This booklet, however, has very limited availabilty. 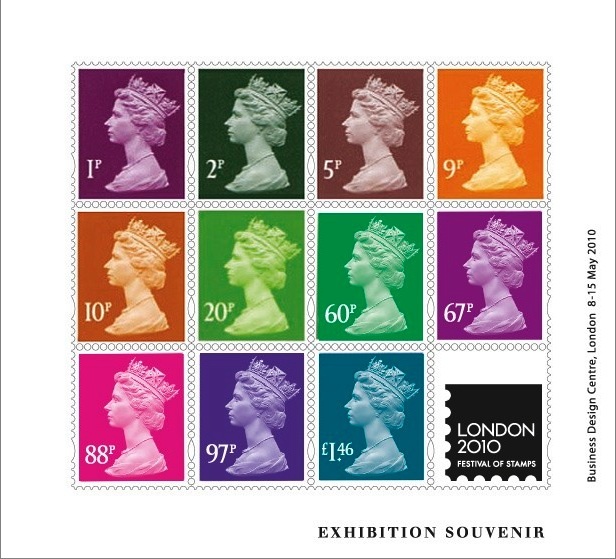 It was available at Spring Stampex from special packs containing 50 booklets all with cylinder numbers. 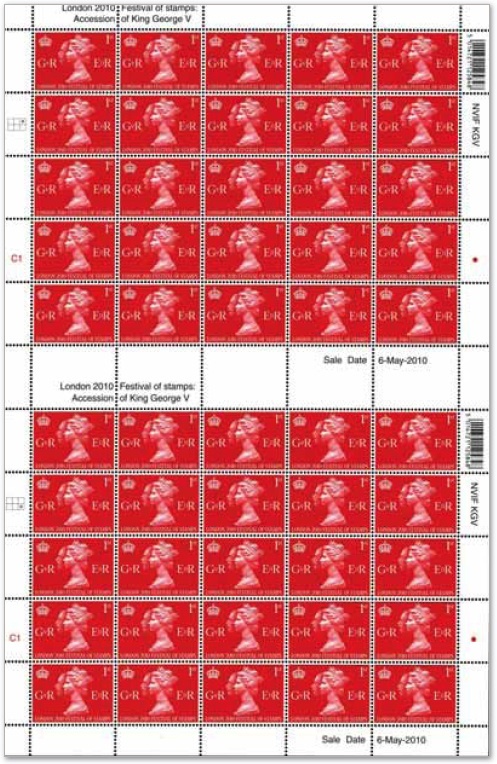 People who buy all their new stamps by mail from Tallents House rather than spending time queueing at Stampex will be interested to know that these booklets have an edge strip which is 7.5mm wide instead of 5mm wide. Whilst some might consider this just a minor difference, to others it is a fundamental change. But here's the rub. 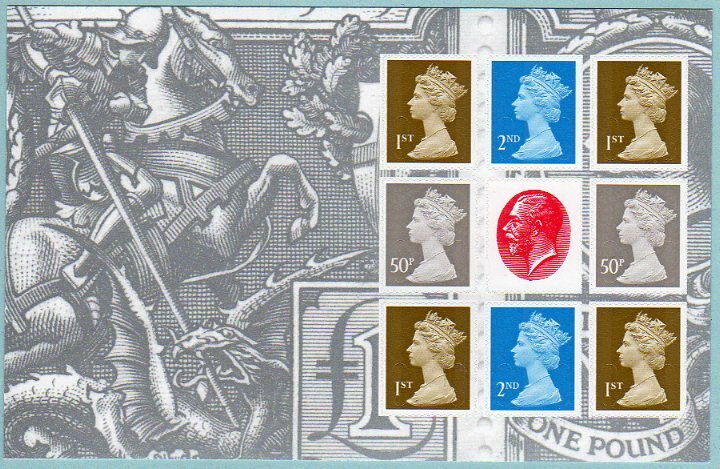 The new booklets obviously have a different overlay cylinder showing MA10 - but the cylinder number has remained the same! 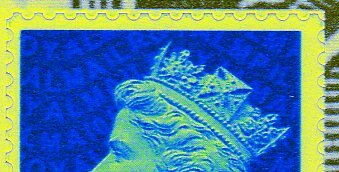 Blue W4, phosphor W2, security W1 - the same as the regular booklets of 12 printed in February 2009. 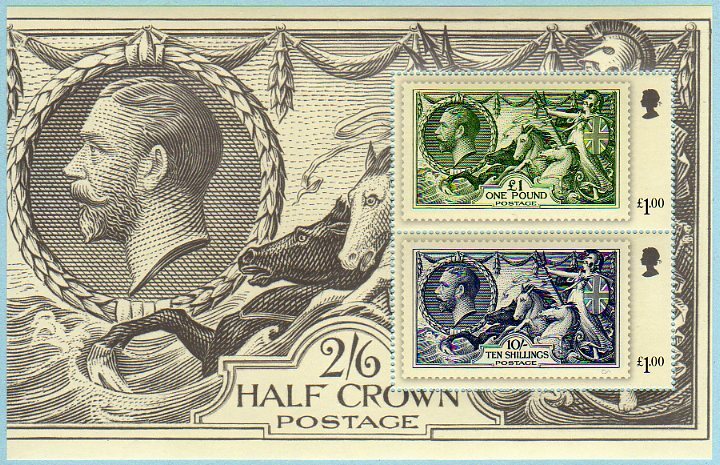 At this stage the 2nd class stamp will be the key to find, and as these booklets have not - as far as we know - been distributed to post offices, the stamps are unlikely to be found in kiloware. Lastly, the 1st class book of 12 exists with MA10 code as well. Announced for mid-December, but not distributed to us until mid-January, the 12 x 1st book was re-released without the printer's imprint on the back. These books do not have MA10, although they do have the 7.5mm strip. 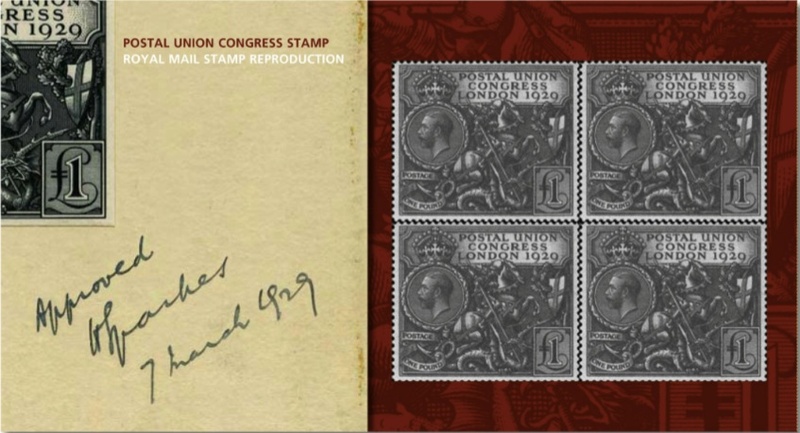 But similar booklets bought by dealers at Stampex from 'cylinder only' packets, not only have the wide strip, but also have code MA10. 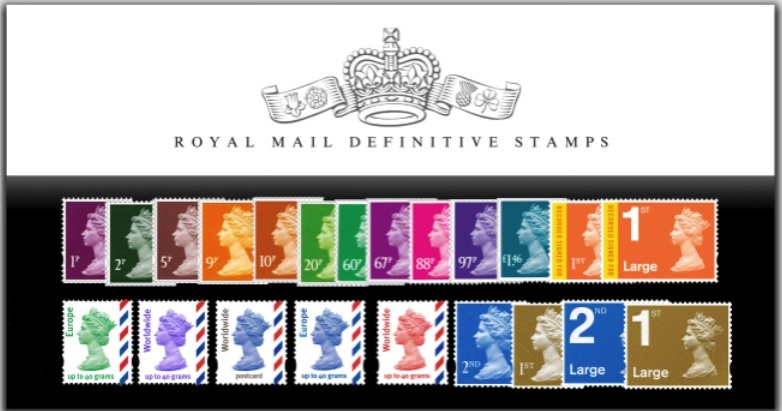 So we have a booklet with a new cover, under which condition Royal Mail decide it is a separate product and allocate it a new product code; But when it is issued with new stamps, they don't consider it necessary even to tell us, let alone make it available as a new product! Thanks to Alec for providing all the pictures. All these are our copyright: may be reproduced elsewhere on the web provided the source and Alec Withell as the copyright holder is acknowledged. Reproduction in printed media, please write first. Now on sale in our ecommerce site. You might think that these are not new, as a big fuss was made last year about the coils with security code MRIL. 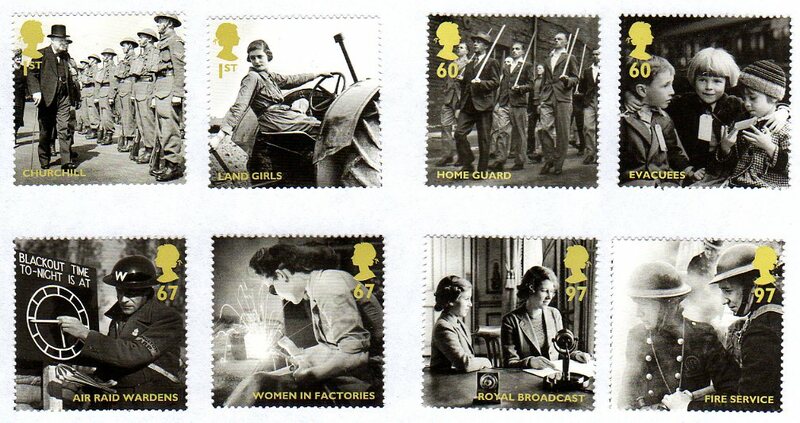 Those were self-adhesive coils of 10,000 stamps and no singles or strips were made available through Royal Mail's philatelic service despite the stamps being "visibly different" (to use their own terminology). Now they have produced coils of 500 and 1000 - but these are different from the ones produced last year so if you collect them, you will want both! Coils are on sale from Tallents House; in the past these have been available as singles and strips as well as complete coils. 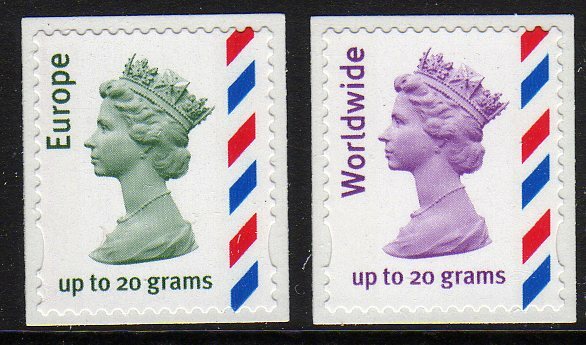 It has been suggested that these are mostly used in dispensers inside and outside post offices, and that may be the case. However, in post office branches which have Post & Go machines the coil dispensers have been removed, as they have in many branches without P&G machines. 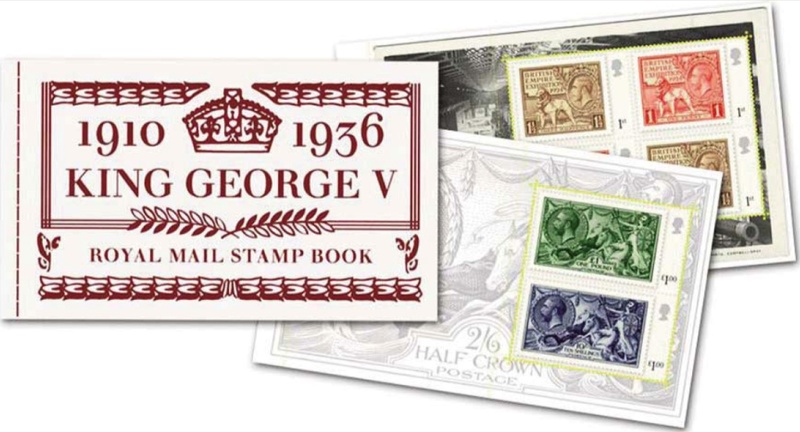 But if you know where coil dispensers still exist at POs, do let us know, and check out which stamps they have - they may already have the new stamps! 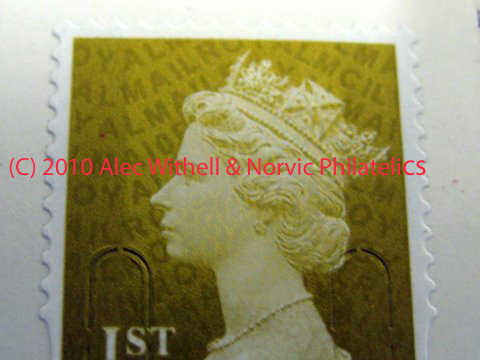 Golden Machin Horizon labels coming to Wales soon. Aur Machin Horizon labeli yn dod i Gymru yn fuan. 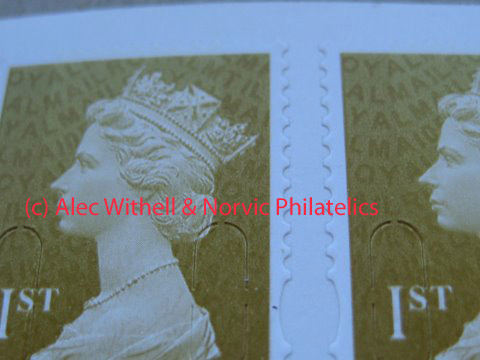 According to the Postagelabelsuk blog, April 12/13th will see the Horizon labels with Gold Machin printing introduced to Wales. 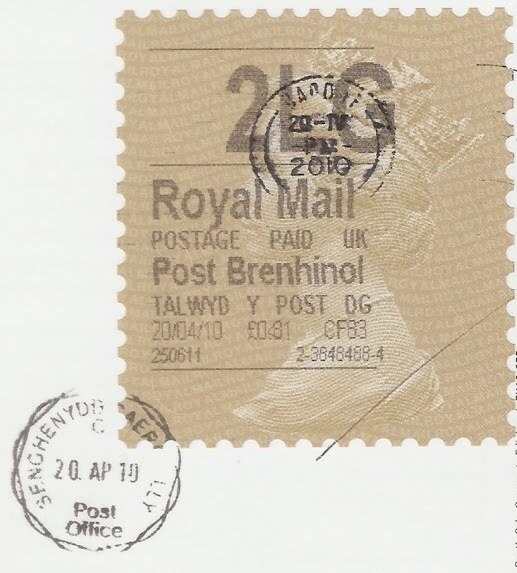 The overprint that will be bilingual from some offices, although some offices in Wales print only in English for some reason. 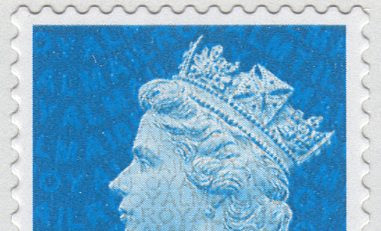 There are currently also two types of overprint in use – one from the original Horizon-enabled Post Offices and the other narrower typeface on some lines in Branches that have been upgraded to ‘Horizon Online’. Unlike the Camden trial, these labels will be used for all classes of mail, not just Special Delivery. There is no official first day of issue of these as they will be supplied to replace white labels as needed. 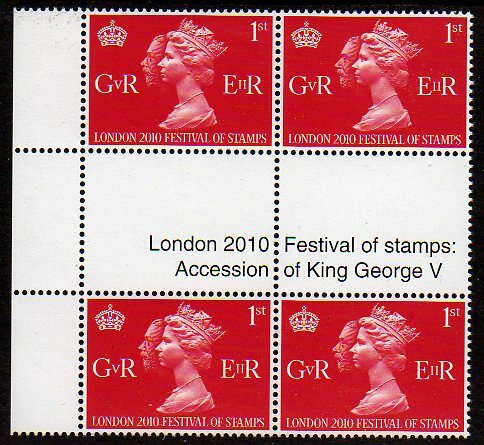 Distribution will commence from April 12th 2010, giving a potential First Day of Use of around the 13th April. 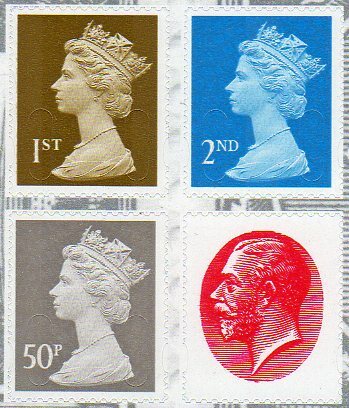 The labels are from a different print run than that used as Camden Town, but it remains to be seen if there are any visual differences! 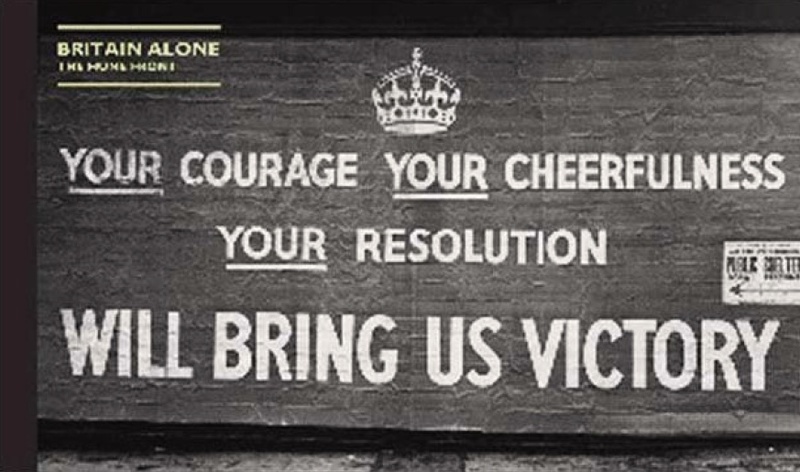 Watch this space - tell us what you find! 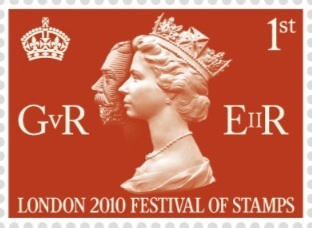 A prize for the first person to send me one, or a genuinely used one you have received. 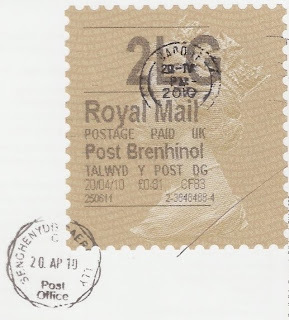 Received a packet (1PK) today from LL30 (Llandudno, Conwy), with branch code 27614 - they are still using white labels, although I was pleased to see it is bilingual. 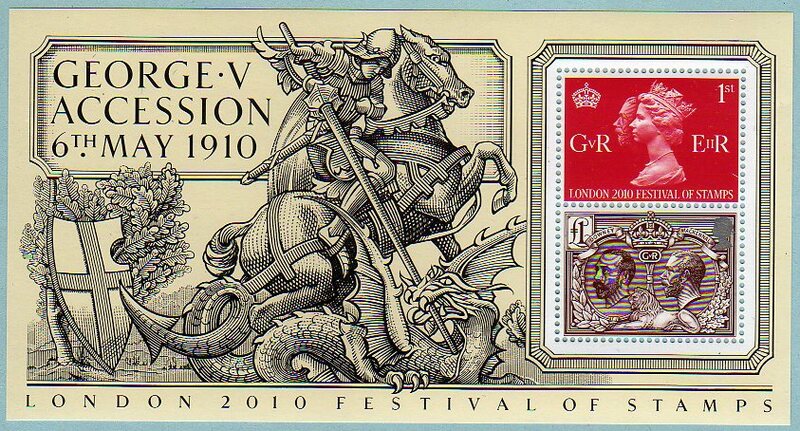 Last one I sent from north Wales near Llangollen was in English, even though the PO was in Wales!